2009 was a near perfect growing season, what we consider to be the vintage of the decade. Grapes ripened slowly and evenly, producing opulent layers of flavor. This graceful wine features a remarkably well-integrated dosage and notes of toasty brioche often found in a fine aged cuvee. Aromas of baked apple, golden apple, lime zest, honeycomb and vanilla marry with brioche on a very round palate. 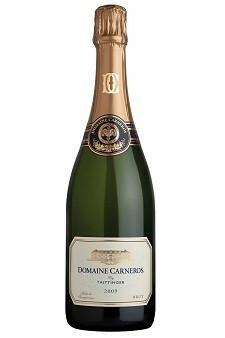 The hallmark of Domaine Cameros wines, a luxuriously long finish rewards each sip. Savor this vintage Brut on its own, or enjoy its pairing versatility with oysters, fish and shellfish, poultry, most Asian cuisine and even rich cheeses. Exceptionally delicious now, this wine will continue to develop complexity for another decade with proper cellaring.